A huge seizure of tiger and bear parts in Russia’s Far East, reported in Russian news media, has highlighted once again the devastating impact of unchecked demand for tiger parts in China. 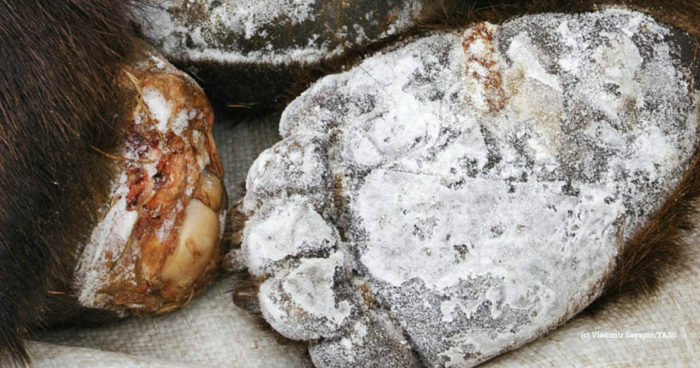 Customs officers on the Russia-China border seized the skins and bones of five tigers, along with 870 brown bear paws (representing at least 218 bears), according to reports from 29 January. Several people have reportedly been detained. This horrific haul makes clear the impact of unchecked demand for tiger products in China, which is affecting big cat populations globally. It also exposes the myth that the farming of bears and tigers in China can reduce pressure on wild populations throughout their range. According to EIA’s records, the parts of at least 36 tigers have been seized by law enforcement in Russia since 2010, mostly along the border with China in Russia’s Far East. These seizures most likely represent only a small proportion of illegal trade from Russia, where just 433 wild tigers survive. Debbie Banks, EIA Tiger Campaign Leader, commended the Russian authorities for the seizure but noted that this should marks only the beginning of the enforcement response.